The group meets on the first Wednesday of every month at 6 p.m. at a designated member's home where they walk or run for 30-40 minutes, then meet back at the house to share a potluck dinner. 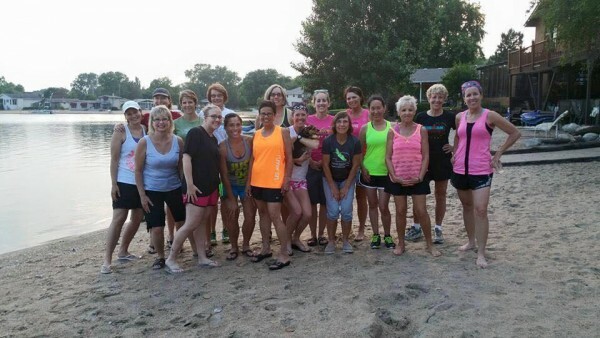 The Ladies group is diverse in ability, background, career, age and geographic location! Through this network, carpools have been formed to attend races, invitations to others' training runs have been extended, support has been given at races to keep going and praise given at the end for a job well done. This is encouraging to a novice runner and experienced alike. The ladies look forward to meeting with the group each month. The food is always good. Recipes are shared in addition to running information. To sign up, just call or go to the next month's meeting – visit the ORC calendar to view the upcoming monthly run and potlucks. There also is a Yahoo Group you can join to contact the group and receive e-mail reminders. If you want to meet other area women who enjoy walking or running, would like to share a potluck dinner, would like to share your running experiences, and would like an opportunity to run a different route than you usually do, give us a try! *December Only: We have an optional gift exchange ($10 Max) for those who wish to participate.